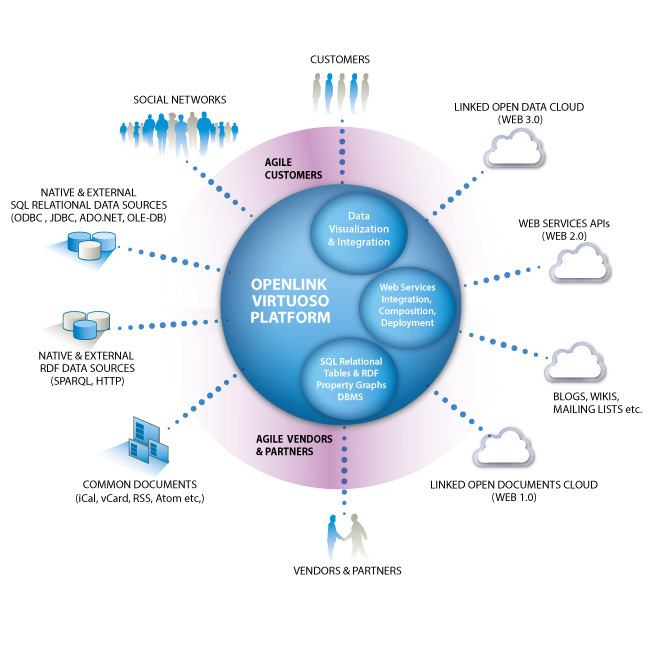 Pre-configured Virtuoso Multi-Model RDBMS (Enterprise Edition) AMI (virtual machine) that provides immediate access to a wealth of data access, integration, and data management functionality, upon instantiation. Cloud-hosted Pay-As-You-Go edition of our High-Performance, Scalable, Secure, Data Server for Data Integration, Web Application Deployment, Linked Open Data Publication, and Native Data Management (Relational Tables and RDF Property Graphs). AMI v8.2.0-ami-1 and v8.2.0-ami-2 deliver Virtuoso 08.02.3309-pthreads as of Oct 13 2018 (b83b180), licensed for 10 Database Sessions and 8 Logical Processors. Get up and running immediately - no build or compilation required.